Russian athletes are back in buusiness after three years. 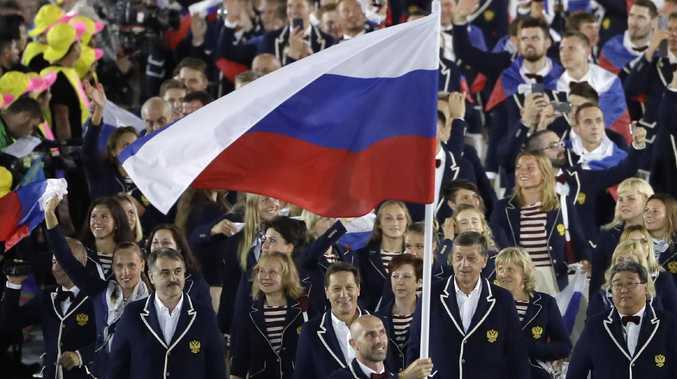 THE World Anti-Doping Agency (WADA) has lifted a ban on Russia's anti-doping agency, paving the way for Russian athletes to return to competition across all sports. "Today, the great majority of WADA's Executive Committee decided to reinstate RUSADA as compliant with the World Anti-Doping Code subject to strict conditions," WADA president Craig Reedie said. Reedie said the decision "provides a clear timeline by which WADA must be given access to the former Moscow laboratory data and samples". He said that if the commitment was not met, WADA would reinstate the ban on the Russian anti-doping agency. The Russian government applauded the decision to lift RUSADA's three-year suspension, saying it was the result of "enormous work" by Russian authorities to improve their procedures. "We welcome WADA's decision," Deputy Prime Minister Olga Golodets was quoted by Russian news agencies as saying. "Russia confirms its adherence to the principles of clean sports competition," she said. But the US anti-doping body USADA called the decision to reinstate the Russian anti-doping body "a devastating blow to the world's clean athletes". "In its landmark meeting today, WADA sent one clear message to the world: we put the wishes of a small handful of sports administrators above the rights of millions of clean athletes and the dreams of billions of sports fans," USADA CEO Travis T. Tygart said in a statement. WADA suspended RUSADA in November 2015 after declaring it to be non-compliant following revelations of a vast Russian-backed scheme to avoid drug testers. A WADA report by Canadian lawyer Richard McLaren accused Russian authorities of running an elaborate doping program with the full support of the Russian Ministry of Sport and the Russian secret service (FSB). WADA announced last week that it had received an internal recommendation to lift the suspension of RUSADA. The softening of WADA's stance has triggered outrage from athletes and national anti-doping agencies around the world, who have accused WADA of caving in to pressure from the International Olympic Committee. Leading athletes signed a joint letter this week against the plan to reinstate Russia saying WADA "owe it to all clean athletes to be the guardians of clean sport".